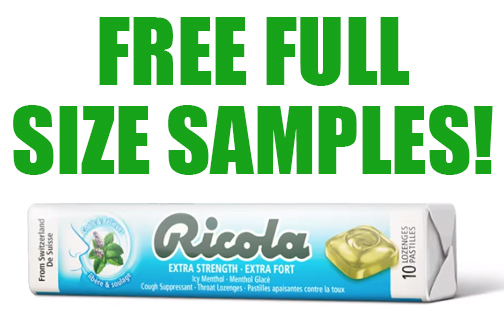 Free Ricola Extra Strength Cough Drops — Deals from SaveaLoonie! It’s peak cold season and it seems like everyone is getting sick! Do you have a coworker, friend or relative that could use a hand getting over their sore throat or cough? Ricola is here to help! 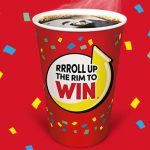 Send Ricola a message on Facebook and they will send your friend/family member/coworker a FREE PACK of Ricola Extra Strength Cough Suppressants! *TIP* Ricola will reply back to your message asking for your friend/family member/coworker’s Instagram handle. If they do not have one, Ricola will send you a sample to give to them in person. 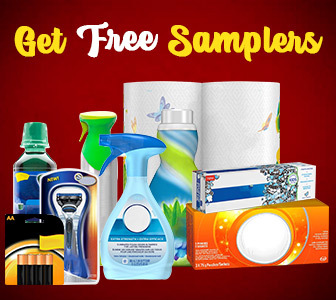 Thanks Ivy for being part of the SaveaLoonie Freebie Finder Rewards Program!